But the powerful banking industry spent 13 years and millions of dollars lobbying for changes that primarily benefit themselves and not consumers. Like most propositions, Prop 2 was worded in such a way that it seemed like a good thing, which is why 91% of all propositions pass in Texas. So in a non-presidential year when voter turnout is low, Texans approved Proposition 2 on November 7th. What’s in the revised bill? The measure amends section 50(a) of Article 16 of the Texas Constitution. The changes allow homeowner’s easier access to the equity in their houses and less restrictions to lose them through foreclosure. Let’s first look at the key changes to new loans originated after January 1, 2018, then dive into what they mean for borrowers. In a future blog we’ll tackle how the changes effect re-financing a home equity loan. 1. Lowering the limitation of fees that can be charged to the borrower from 3% to 2% and removing certain fees from this calculation. 2. Expanding the list of lenders authorized to make Texas home equity loans. 3. 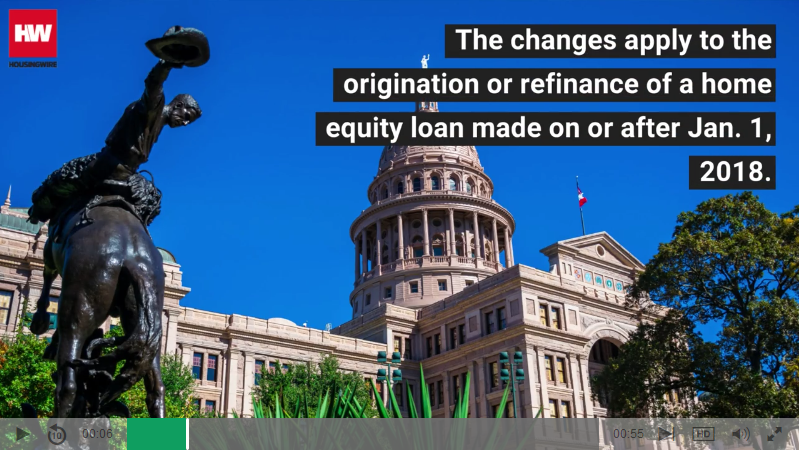 Allowing Texas home equity loans to be refinanced as rate-and-term refinances. 4. Repealing the prohibition on originating a Texas home equity loan secured by a homestead property with an agricultural tax exemption. 5. 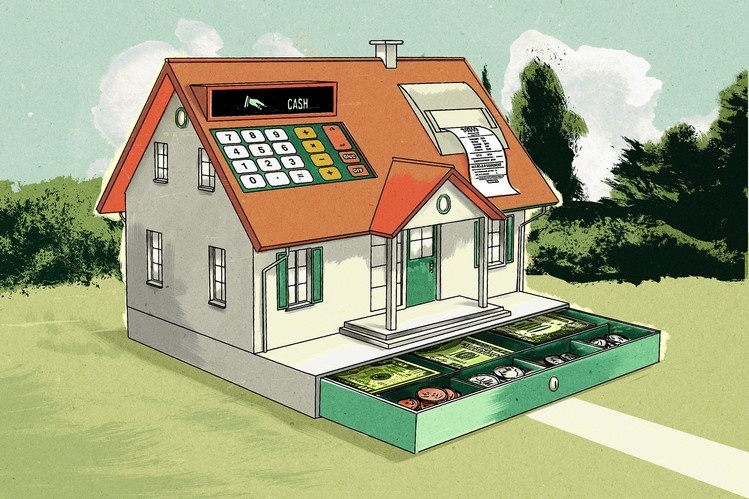 Eliminating the 50% threshold for advances on a home equity line of credit (“HELOC”). Fees charged for many home equity loans will go up, not down. The wording indicates a reduction from 3% to 2%, which sounds good - except certain fees were removed from the calculation. Those fees are common to all loans and include appraisals, surveys, title insurance premiums, and title examination reports. These now-excluded fees will push the total amount a bank can charge to well above the prior 3% maximum, especially for smaller loans. Consumers with smaller amounts of equity that previously weren’t profitable for banks to lend to, now are under the new rules as banks can charge more fees. Previously, only agricultural homesteads (as defined in section 23.51 of Texas Tax Code) that were primarily used for milk production were allowed to take out home equity loans, but now all agricultural properties can. With so many agricultural properties in Texas, this is a huge opportunity for lenders. These property owners can now tap into their equity - but proceed with caution; you don’t want to end up losing the family farm when you miss a payment. The amount of equity a borrower with a Home Equity Line of Credit (HELOC) can access increases from 50% to 80% of the house’s fair market value. This provision gives homeowners with HELOCs more access to their equity, but also puts them at greater risk as they are leveraging more of their equity at a variable interest rate subject to market volatility. The Lane Law Firm has represented hundreds of home equity borrowers across Texas since 2010. If you or someone you know has a home equity loan, there is an 87% chance it contains one or more violations. For more information on home equity loans, click here. For a no cost, no obligation audit of your loan to see if it contains errors, contact us at 713-590-3066 or toll-free at 877-408-3328.